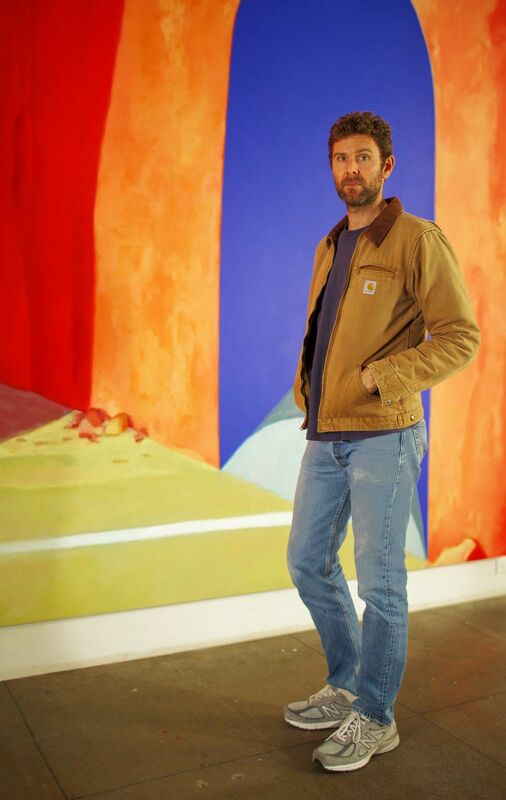 "For the last three years I've been painting in a way that I haven't in the last 10," says Dan Colen, surveying his latest work at his studio in Red Hook, Brooklyn. The New York-based neo-pop artist has a flair for reinvention, and his current show — a return to representational painting after years spent in sculpture — is no exception. 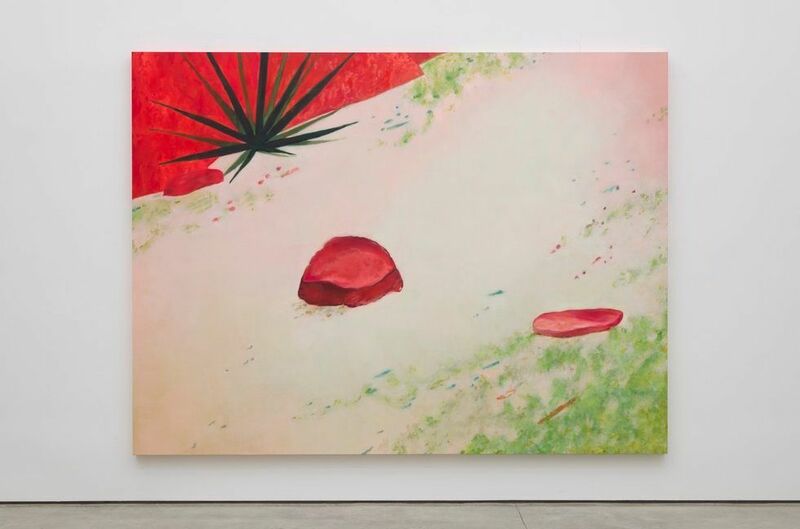 High Noon features a series of new desert paintings that opened last week at Gagosian Gallery in Beverly Hills. 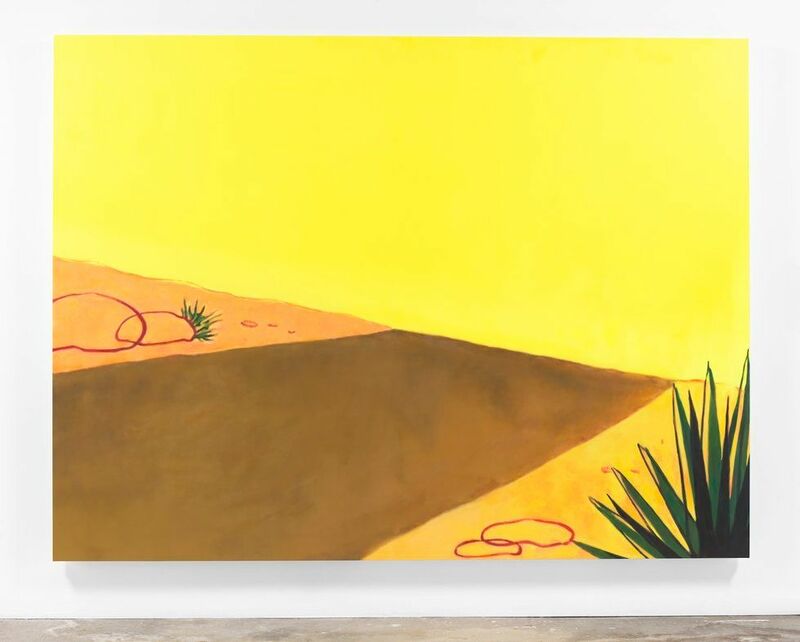 Abstracted from Chuck Jones's 1949 Fast and Furry-ous cartoon (the debut of Road Runner and Wile E. Coyote, who are absent in these works), the paintings explore the narrative's Sisyphean themes of performance and deception against the backdrop of an arid desert landscape. The physical properties of the pigments in each work became a focal point for Colen throughout the process of making them — a marked deviation from Colen's hyperrealistic works, like 2006's “Potty Mouth Potty War" (paintings and signage that were surreptitiously displayed in the bathrooms of Gagosian in NYC) and his chewing gum paintings, which led him to be hailed, along with Ryan McGinley and the late Dash Snow, as one of “Warhol's Children," arbiters of influence within the downtown art scene beginning in the mid-2000s. High Noon is a bit different, both conceptually and in terms of material. "These paintings are first and foremost about paint," Colen reflects. It's a simple enough concept with profound implications: The artist famous for employing unconventional media — chewing gum, cigarette butts, dirt, sneakers, feathers — is now using oil paint as an object. And for High Noon, Colen has cultivated a painting technique that tests the limits of color itself. The resulting majestic, monochromatic palette is a tribute to process: His team used everything from modified printing press rollers to a series of 4 different brushes to achieve the look that Colen envisioned for High Noon, which was to exhibit each color in its purest shade without any wanton surface texture. 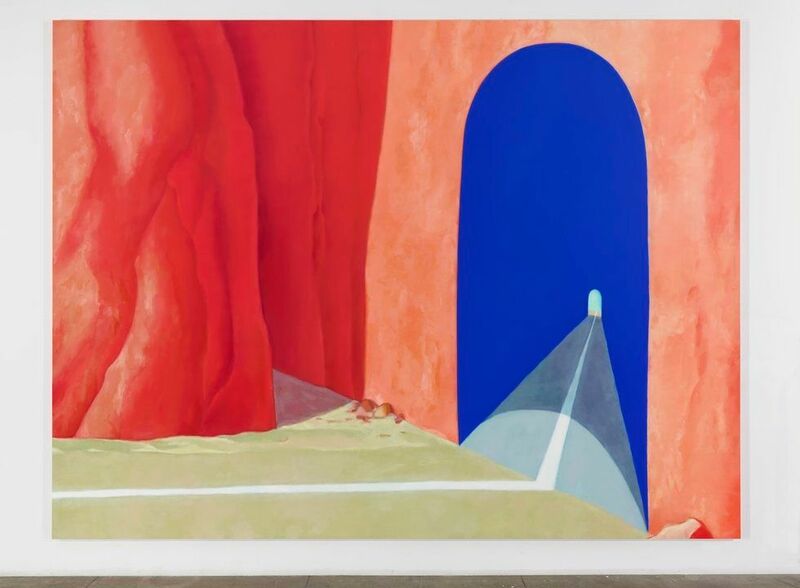 The final effect is one in which the viewer is beckoned to consider the duality of boundless freedom (the desert backdrops are so large it almost seems like you could step into them) against a complete lack of potential (given that they are paintings, so you can't). The desert "can be a place where you heal," Colen points out, "but also a place that devours you." The results are both sublime and provocative. For Colen, the process of creating High Noon was really about making discoveries and testing the limits of paint. “My practice has always been about illusionistic painting; using one thing to represent something else," he explains. “These are the first paintings I've done that really represent themselves."